Bruce Jenner transwoman: Is he finally coming out in 2015? 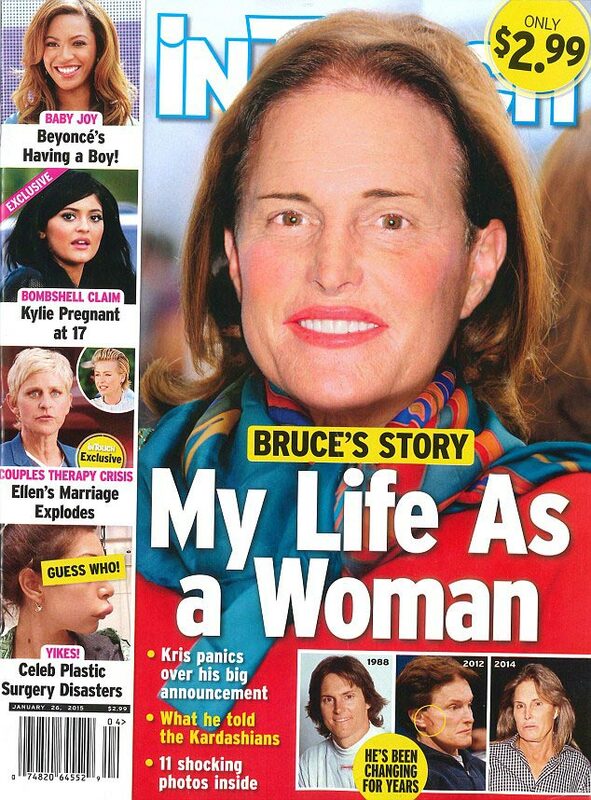 Home Scandal and Gossip Bruce Jenner transwoman: Is he finally coming out in 2015? Bruce Jenner transwoman: Is he on the verge of at last coming out? Bruce Jenner has been spotted looking a little worse for wear after assertions he is now ready to publicly come out as transgender. Seen skulking forlorn in a parking lot (where was Bruce going, to have his eyelashes tended to?) just hours after InTouch magazine made the assertions, our collective hero was hardly in the mood to be photographed by waiting paparazzi as he desperately hid behind dark sunglasses and a giant sweep of his ‘polished hand’ as he took to nervously chain smoking away. Speculation that the former Olympian is set to come out as a transwoman has been on the rampage as he has increasingly been seen in recent months stepping out with polished nails, longer hair and Spanx. Feeding rumors that the Olympian is set to make the crossover are assertions that Jenner has never categorically told he doesn’t want to live his life as a woman. Which in Hollywood is backward for all but admitting that one is in fact ready to make the cross over. Or are they? Who the source is and why the source would make such a claim isn’t necessarily revealed. Then again is it ever? Added the source: ‘When Bruce goes public, he wants to go big and come out as a transwoman on the cover of The Advocate, the ultimate LGBT magazine,’ added the source. Interestingly a source, a close friend, would tell TMZ that our collective hero ‘doesn’t even pay attention to this stuff.’ Or does he?